We can stamp either the name of a school, the initials of a school and year, or a name. Please leave that info here. 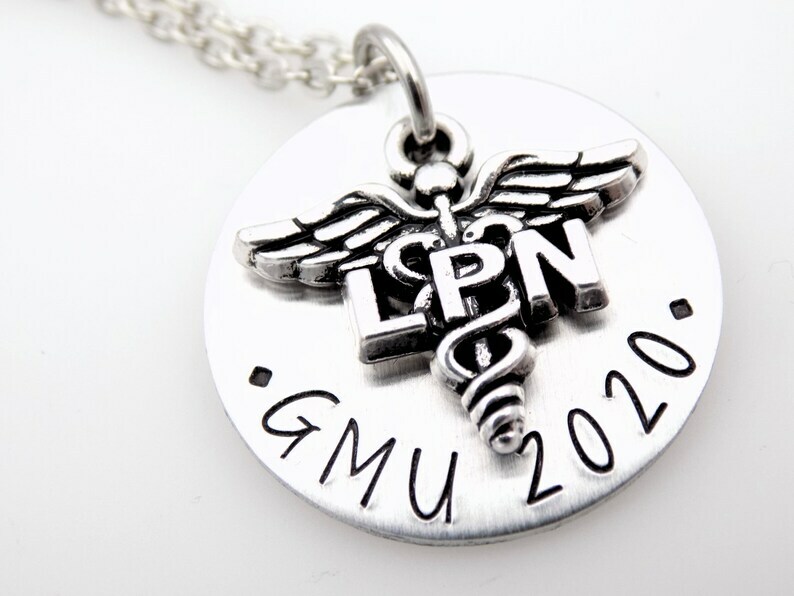 This necklace will be customized with either the school and year of your choice, or a name. ·Aluminum heart charm is 1"